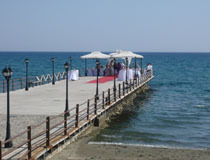 Superb beachside hotels, a pleasant promenade, excellent sightseeing and great shopping options all contribute to Limassol's popularity. 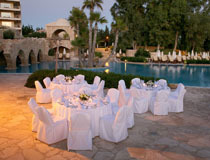 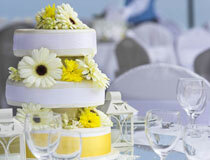 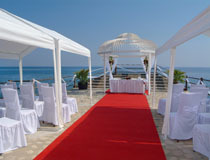 Detailed below is our selection of wedding venues at the very best 4-star and 5-star hotels available in Limassol. 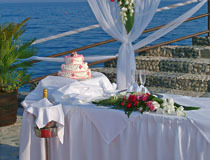 Whatever your preference, be it a civil wedding, an Anglican service, a religious blessing, whether you wish the ceremony to take place under a pretty gazebo facing the sea, at the end of a panoramic pier, a secluded garden location or inside a picturesque chapel, we have the perfect venues to make your day as special and unique as it should be. 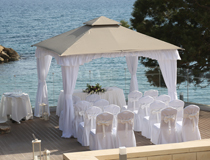 Spacious surroundings, excellent service throughout and a huge range of inclusions (as shown below) make the luxurious Amathus Beach Hotel Limassol a perfect choice for your wedding day and honeymoon. 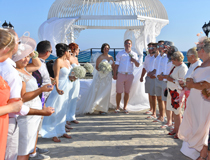 With a variety of on-site nuptial venues and tempting dining options, you will have plenty of choices for your wedding day as well as your reception. 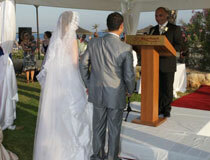 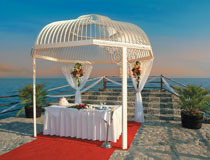 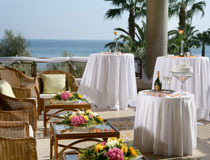 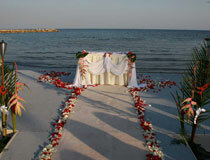 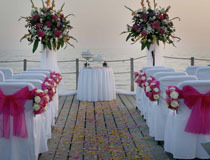 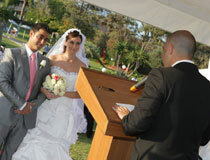 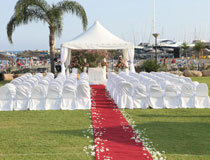 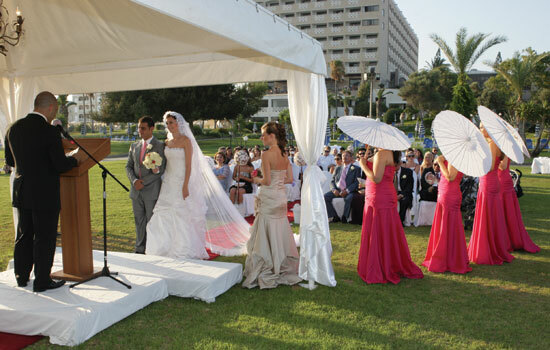 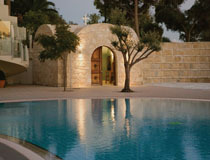 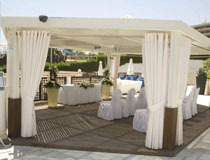 With its wedding marquis and pretty chapel, the Four Seasons in Limassol is a popular wedding destination. 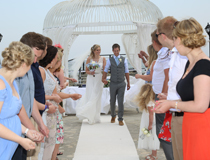 And we are now delighted to announce that 'beach weddings' have recently been added to the hotel's wedding venues portfolio! 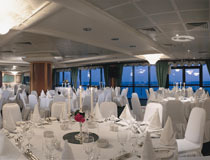 This truly luxurious establishment consistently lives up to its excellent reputation and you can expect everything to be just perfect on your very important day with heaps of lovely special touches offered by the hotel. 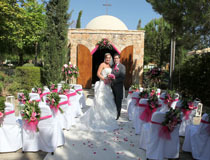 Please note that it is a compulsory condition that couples getting married at the Four Seasons also hold their wedding reception at the hotel. 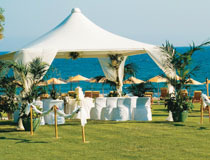 This excellent 5-Star hotel comes complete with a perfect seafront location plus several stylish wedding venues! 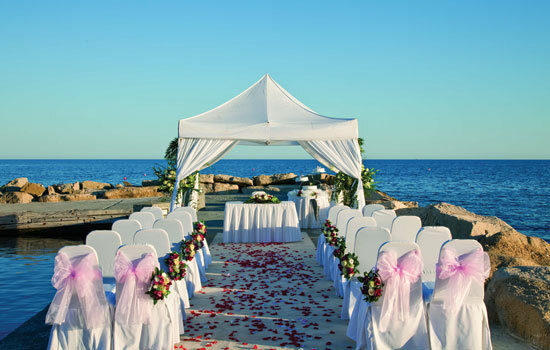 Set within large landscape gardens, the St Raphael Resort spoils you for choice with a variety of outdoor settings for your wedding ceremony such as the gazebo that stands on a grass area by the beach or if you prefer, the new chapel that sits beside the executive pool. 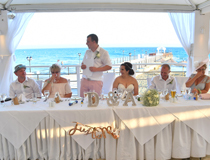 Similarly, the options available for your reception are plentiful and can include anything you wish, from a buffet to a lavish multi-course meal with entertainment. 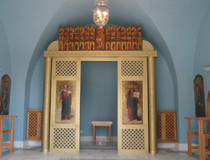 Formerly known as Le Meridien Hotel Spa & Resort, an extensive project is currently taking place to totally redesign and refurbish the resort before it re-opens in 2018 as the Park Lane Luxury Collection Resort & Spa. 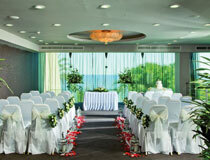 Full details will be posted as soon as we receive the updated information on wedding venues available. 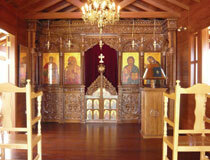 All images shown above and below were taken before renovations took place. 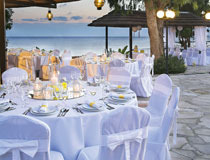 A stylish contemporary decor and impeccable service await you at the 5-Star Grand Resort Limassol, located within spacious grounds that give direct access to a sandy beach. 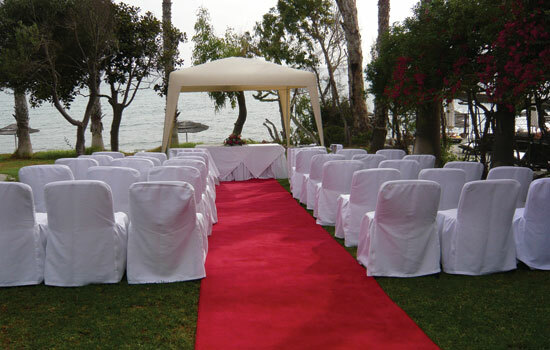 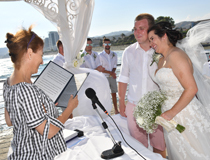 Here, your wedding ceremony can either be a civil service or a religious blessing conducted under a white gazebo in the gardens by the sea or indoors, if you prefer a cooler setting. 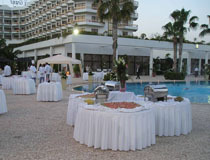 Amongst the various choices available for your reception, the pool area is a favourite venue. 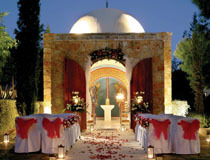 Stylish guest accommodation (some Suites have a ‘window Jacuzzi’) plus an excellent Wellness Centre guarantee all the pampering you wish to indulge in at the start of your married life. 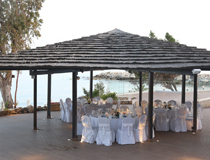 Amongst the various venues available at the 5-Star Royal Apollonia, there are two lovely outdoor settings to choose from including the Eros sea view gazebo that beautifully frames the sea view between two huge palm trees. 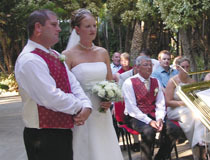 Your wedding reception, be it a finger cocktail, lunch or gala dinner can take place outside or inside according to your preference. 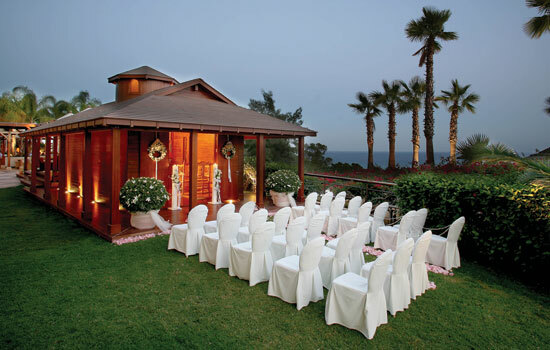 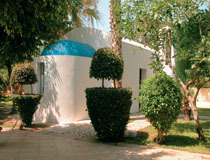 The bijou white-washed chapel where blessings or full Anglican services are conducted stands within the grounds of the professionally-run Elias Beach Hotel. 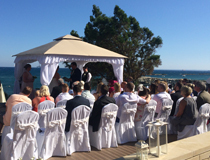 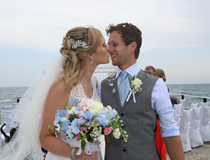 There are also various attractive locations on-site for civil weddings, including the pier where a white or red carpet, flanked by white covered chairs, leads to a very pretty wrought-iron gazebo under which weddings take place. 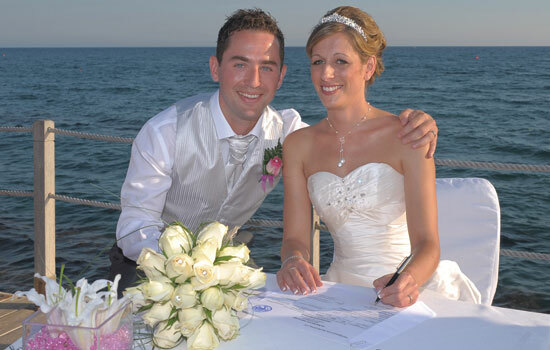 To complete your special day, your reception may also be set on the pier - a panoramic sea view setting, particularly romantic at sunset! 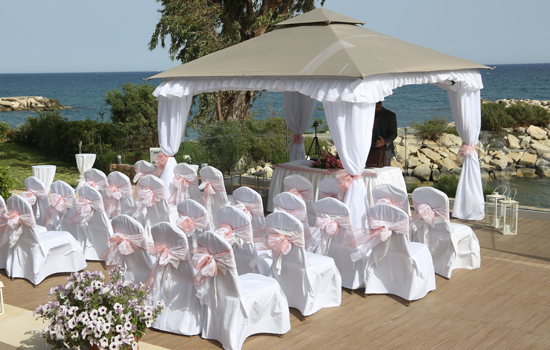 Standing right by the beach amidst neat gardens, the Mediterranean Beach is an excellent 4-Star hotel and a perfect venue for your forthcoming wedding. 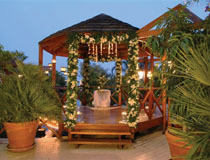 The ceremony can take place under a purposely built gazebo that comes complete with a decking-style floor. 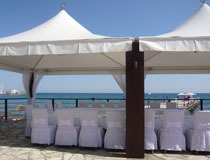 The use of this lovely setting is complimentary and you will only be charged for the white chair covers. 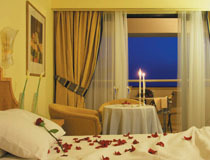 One of the rooms or studios in the Executive Wing for ‘adults only’ would perfectly enhance your special stay at the Mediterranean Beach. 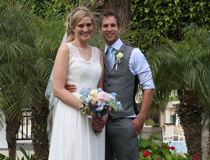 In addition, every wedding couple is offered a free treatment at the on-site Aquum Spa and to pamper yourselves even further we can supply you with a full list of available spa treatments.